A guy starts dressing up like Edward Cullen to attract a girl who’s a massive Twilight fan. Trouble is he gets it wrong and it kind of goes to his head, with disastrous consequences. 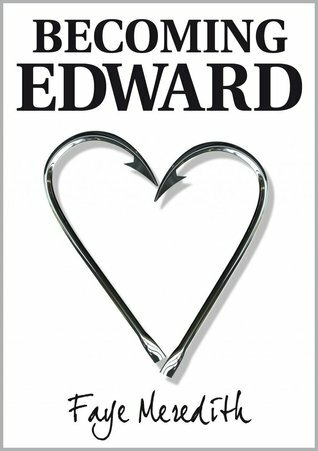 Becoming Edward is set in the UK and is a light-hearted, fun novel about what happens when obsession goes too far. Perfect for both Twilight and non-Twilight fans. World Building: Contemporary, post-Twilight UK, lol. Characters: They were fun and they made sense up to about half the book, I think. From a point on they just became too much, especially Lewis. Rachel, Cassie and Clive made enough sense to me through and through, and so did Lewis’s sister, but he was just ridiculous from a point on. Plot: Funny and lighthearted up to a point, but then Lewis starts acting very out there and it just got unrealistic (not in the magical realism or fantasy vibe, though) and hard to get involved in. Writing: Accessible and funny, loved the contemporary Brit tone. Curb Appeal: Moderate, the idea sounds cool and the cover is interesting, but I can’t say it gives me the “I-want-this-now!” vibe.